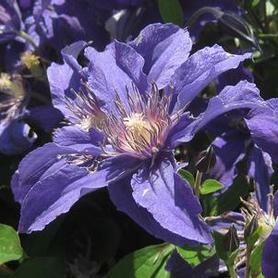 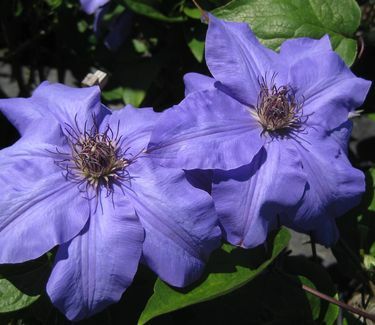 Clematis 'Ramona' has large lavender blue flowers with dark anthers. 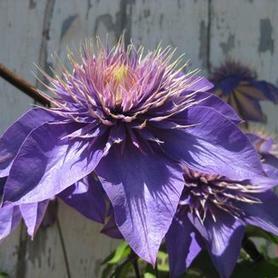 Blooms June to August. 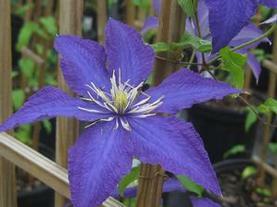 This is one of our favorite blue Clematis.